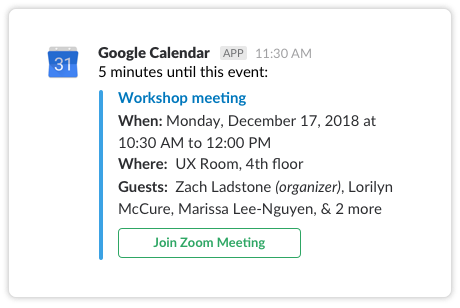 Connect your Google Calendar to Slack so you can see daily summaries of your schedule, respond to event invites, and even start Zoom and Google Hangout calls right from Slack. 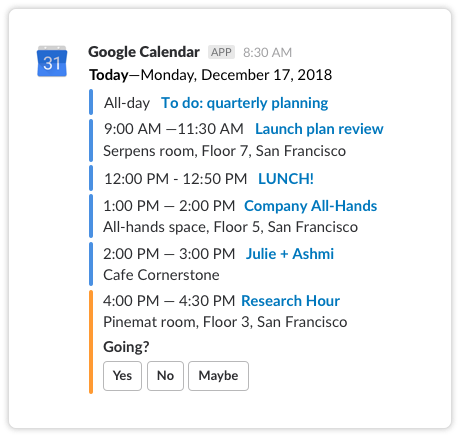 Connect the Google Calendar app to your Slack workspace. 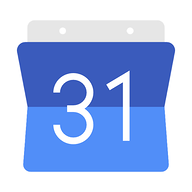 Open the Google Calendar app within Slack and send it any message to get started. Click the “Connect your Account” button then follow the steps to link your Slack and Google accounts together. Tweak notification settings to best suit your preferences. 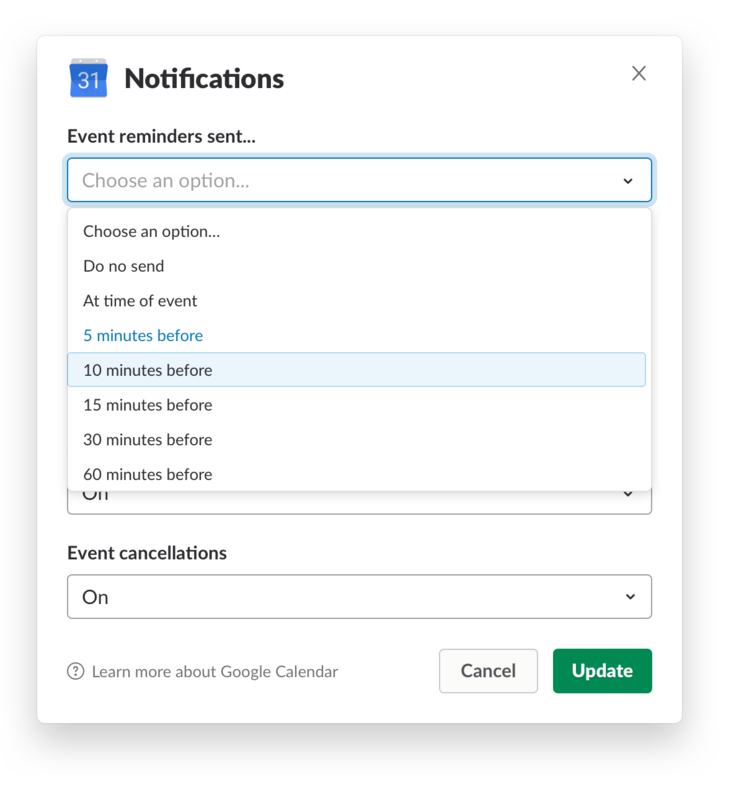 Turn specific types of notifications on or off and modify when they are delivered by using the /gcal command and selecting the “View Settings” button. 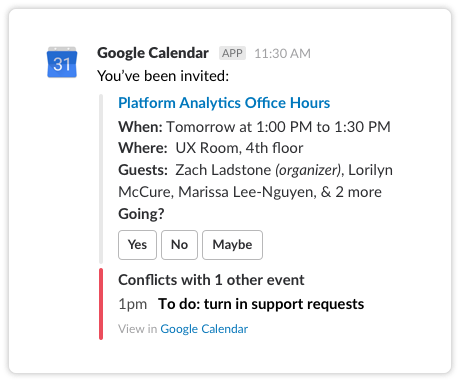 Receive calendar invites with highlights of schedule conflicts. 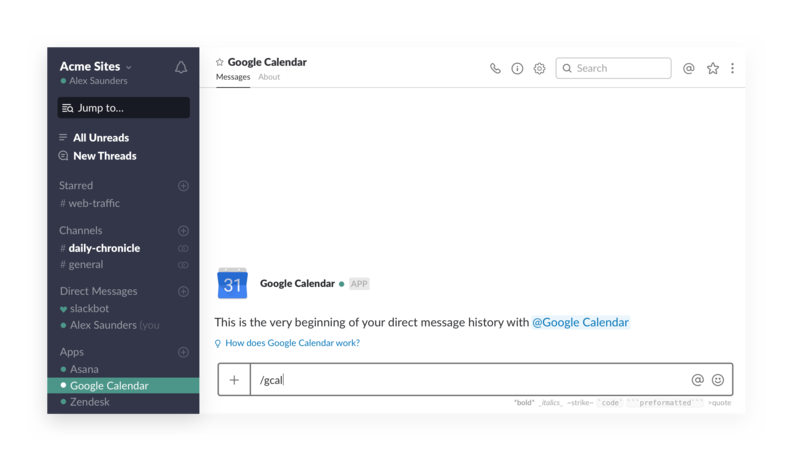 Respond to them directly from Slack so your calendar is always up to date. Join conference calls in a single click from event reminders.